I wanted the Fundraising for my project for slums of Bhopal. 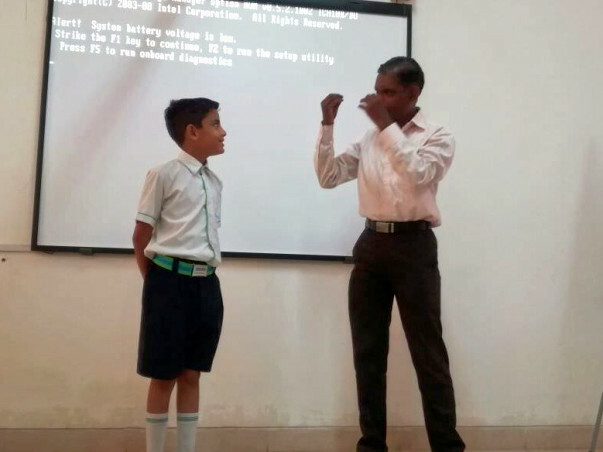 I wanted to teach "Positive Autosuggestion and Visualization Technique to the students of government schools of Bhopal. I've researched on this technique since last 5 years, and this technique is very useful for all-walks-of-life. This technique is very useful for removing exam phobia, depression and tension which occurs during the final exams at March. This technique is very useful for 10th and 12th State Board students. If students practice this technique 5 minutes every day, then they can turn their weaker subjects into and stronger and/or interesting subject. Practice of this technique will give better and expected results to students. As we all know that after declaring board results, when students get unexpected results, fail in any particular subject or gets supplementary in any particular subject, due to lot of depression students commit suicide. Hence, to stop that suicide case among students of Bhopal from this year. I'm sure and confident that students could score better results. There won't be any suicide due to poor results. After following-up a lot and lot of effort, on 16th August, 2017, I had conducted my first workshop of 15 minutes among 4th,5th,6th and 7th standard students of GEMS PUBLIC SCHOOL, Near Spring Valley, Katara Road, Bhopal. So far I've successfully conducted my 11 workshop in 3 schools, 3 coaching classes and among 50 students of Electronic and Telecommunication Engineering, 7th Semester, Amrita School Of Engineering, Amritapuri Campus, Kerala on 30th September, 2017. Now I wanted to teach to slum students also. For which I require fund of Rs 50,000/- for Laptop, LCD Projector, Screen Stand and Output Audio System and Travel Arrangement in Bhopal. Even I can teach slum students that if they practice this technique daily, then they can fulfill their dreams of life. My intention is to save the children from this year. This technique will take 1 hour to teach to students in a group. 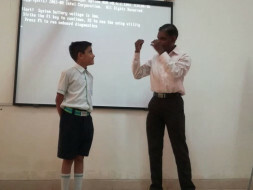 This technique is applicable from standard 1st - standard 12th. However, students of standard 5th and above can understand this technique very easily. This technique is very easy to learn and to implement.